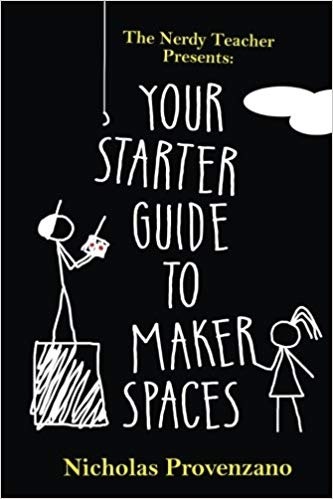 Your Starter Guide to Maker Spaces by Nicholas Provenzano tell the story of how he started and built a successful maker space at his school. His guidelines explain what one is, who can help you build one, where it should go, and what to put in it. He explains how it can promote project-based learning and turn failure into a positive thing. Every school should have a copy. Since making doesn’t have a set curriculum, it should be no surprise that this book is written by an English teacher. The goal is to have students use different tools to demonstrate understanding. You don’t have to be an expert to turn your students lose and it’s ok to fail. This book features Nick’s experiences rather than a pile of research. He claims to be a tinkerer rather than an expert and hopes that you can draw on his work to help jump-start your own and the work of your students. 1. So, What is Making? Nick’s definition of making is that it is the creation of something new that was not there before. By being broad and vague it is not constrained. This definition also makes it more inclusive so the everyone can make with anything you can find along with computer code. It is also vital that you ditch the idea that making is for STEM classes. You need to add the arts (STEAM) as the arts bring everything together. You want students to be creators, not just consumers. Since some students don’t have a supportive making environment at home, schools need to provide one. 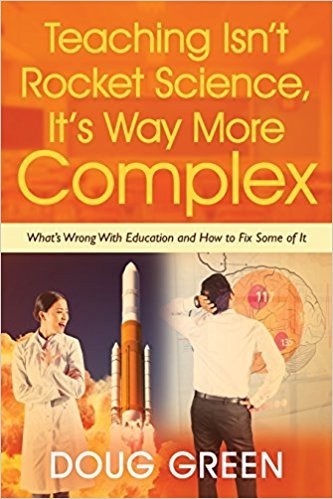 They all need to experience problem-based lessons to prepare for life after school. Another key is that teachers have to see themselves as makers. At the least, they make lesson plans. They also make other things and need to be role models when it comes to making. There is also an element of storytelling as just about anything you make has a story associated with it. 2. I Know What Making Is, but Why Should I Care? In many schools students don’t have much choice about what they do or study. A maker space gives them choice and freedom if they are making what they want. Creativity and innovation are also often eliminated from the curriculum. Not so in a maker space. You should also design your maker space to support collaboration. Businesses want all of these things and many schools don’t try to build them into students’ lives. Finally, a maker space should be a fun place for students to be. There is no reason why school can’t be more fun than it already is and maker spaces can help.